I saw this bird along a river in Puerto Vallarta. Maybe half a mile inland from the Pacific. The river was lined with trees. It's perching on a bridge. 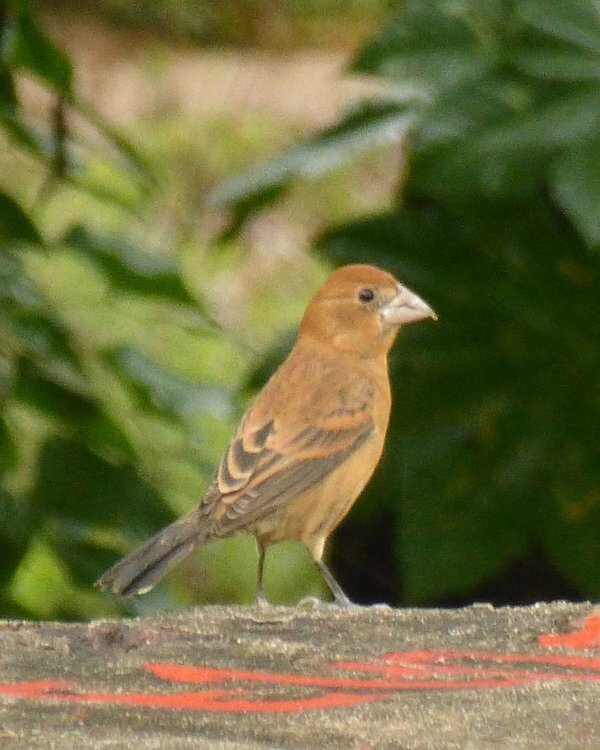 Blue grosbeak female or immature ? Many thanks, PascalNJ. That's a huge help! Yeah the bill is slightly overgrown, but everything else fits fine for Blue Grosbeak.